Healthcare providers can start using artificial intelligence today to help their business expand. Artificial Intelligence (AI) is dominating news as the next breakthrough technology. Most healthcare providers (and the general population) associate AI with self-driving cars, advanced analytics through tools like IBM Watson, or creepily accurate shopping predictions by the likes of Amazon. These are all real, modern applications of AI that are exploding onto the scene. Broadly speaking, the goal of AI technology is to mimic – and eventually outperform – the intelligence of humans. At its simplest, AI powers modern robots like Roombas to sweep and vacuum your home with no human assistance. At its most complex, AI will power your car so it can operate sans human input, more safely than a human could. But what about healthcare? How does AI impact this industry? Sentiment analysis is the identification and categorization of user opinions expressed through text. This emerging AI technology is able to extract human emotions from written feedback by identifying words and patterns, improving itself over time with little human input. For the most part, sentiment analysis has matured into a reliable technology today. For healthcare providers, this presents a unique opportunity to understand exactly how patients feel about their doctor visit, and spot patterns over time to identify problem areas. This can be accomplished without directly confronting patients and badgering them with questions; instead, allowing them to openly share thoughts and feelings following a visit through a quick survey. The survey response is captured and analyzed by the sentiment analysis software, giving you a peek into each patient’s experience. Aggregate this across your entire patient base, and you can see how powerful it becomes. Our survey of over 50,000 patients revealed that the typical emotions patients felt after a visit were happiness, anticipation, trust, sadness, and disgust. Moreover, we gained insights into the intensity of each emotion (marked as high, medium, or low). This nuanced understanding of patient sentiment allows for a customized response to patient concerns. In general, a customized approach to rectifying patient concerns will outperform a one-size-fits-all one. For example, you could create 15 different marketing campaigns that target each group of patients depending on their emotion and intensity of emotion. Survey your patients soon after they’ve left your office. Identify AI tools that can perform sentiment analysis. Do your due diligence to make sure the output is accurate and logical; avoid pop-up companies that promise the world. Coordinate with your IT team to integrate an Artificial Intelligence API to seamlessly integrate your AI tool with your survey platform. Run the results for several sets of data samples to test accuracy. A legitimate AI tool company will allow you to submit inaccuracies so they can “teach” the algorithm, ultimately improving accuracy. Manually compare the patient sentiment suggested by the tool with the actual comment of the patient to make sure it’s consistent. This was touched on in step 2, but it’s a necessary reminder. A good tool will show over 90% consistency with sentiments derived from the manual check (no tool is perfect; the technology isn’t there yet). Use several data sets to test for accuracy. After all, inaccurate data is at best useless, and at worst reckless. Run a sentiment analysis across your patient survey database. Make sure that the sentiment analysis results are by patient, not aggregated as a whole. The output should be very granular: Again, get help from your IT team or your marketing agency to ensure your output table resembles the above example. Otherwise, you will not be able to evaluate accuracy. Set up a marketing campaign by patient based on their sentiment and its intensity. As mentioned previously, you can set up 15 distinct marketing messages customized to specific patient experience based on the five emotions and three levels of intensity. You can then automate the campaign through email platforms such as MailChimp, Constant Contact, or Vertical Response. Your IT team or marketing agency can walk you through the integration if required. Although the setup process may seem daunting, the efforts are well worth it. After set up, the ongoing automated marketing campaign will improve patient recovery, retention, and attract new patients through word-of-mouth referrals, while simultaneously giving you insights into the patient experience to improve it day-by-day. Marketing agencies can help set up and manage your campaigns should you decide to go that route. The return on your investment will be much higher than almost any other form of marketing you are currently employing. So How Does AI Grow Your Practice? Be patient-centric; obsessed with providing patients the best possible experience (the first of three “GMR Pillars of Healthcare Marketing Success”). Have a process in place to identify, contact, and reconcile unhappy patients soon after they leave your office. Patient Recovery – Given that you know the exact reason and intensity of patient unhappiness, institute a patient recovery program that deals with each sentiment/intensity accordingly. This will require development of a patient-recovery process, including training your office staff so they can execute it. Patient Retention – Use your knowledge of each patient sentiment/intensity to offer programs and information to retain them by building loyalty. For example, you can invite your patients to join your social media group where you share healthcare related information regularly. This will also give them an avenue for asking generic health related questions. You can also send monthly newsletters and ask patients to subscribe. Your marketing agency should be able to suggest specific communication programs for your business. Get New Patients – Given that a large percent of new patients come through referrals from people they trust, your high-intensity happy or trusting patients are ideal candidates for marketing programs focused on getting new patients. Create a simple referral form and link, and ask your extremely loyal patients to share with their friends/family. Upon submission, an automated email from them introducing you will go out to their list. This simple process will generate a constant flow of new patients for your practice. Again, enlist the services of a marketing agency if you need help with setup. It’s important to time your campaigns accordingly. Your first responsibility should be to solve their issues regarding their health conditions (goes without saying). Happy patients are more likely to engage with your marketing programs, whereas unhappy patients should be personally contacted, independent of any marketing campaign. AI in healthcare is projected to become an $8 billion industry by 2022, according to a Markets and Markets Research. It has already permeated hundreds of apps and devices that are being used inside and outside hospitals for various purposes. 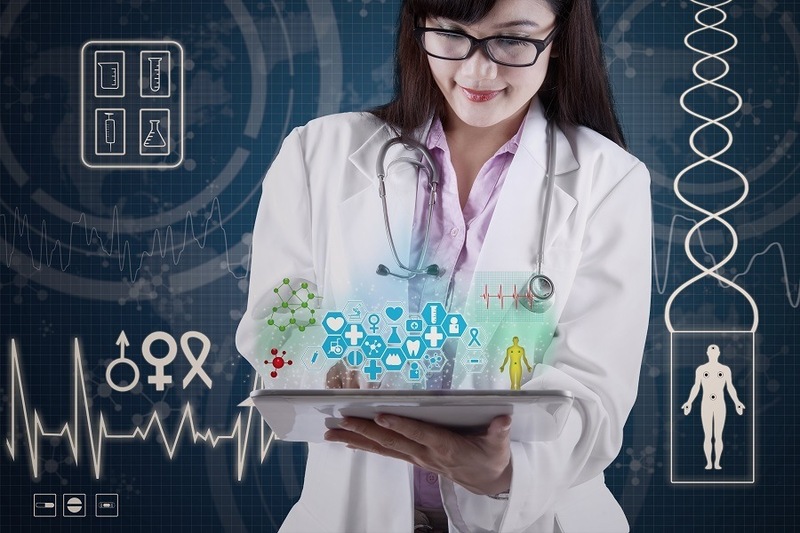 Sentiment analysis is just the first of many applications of AI in the healthcare sphere, but its importance can’t be understated. 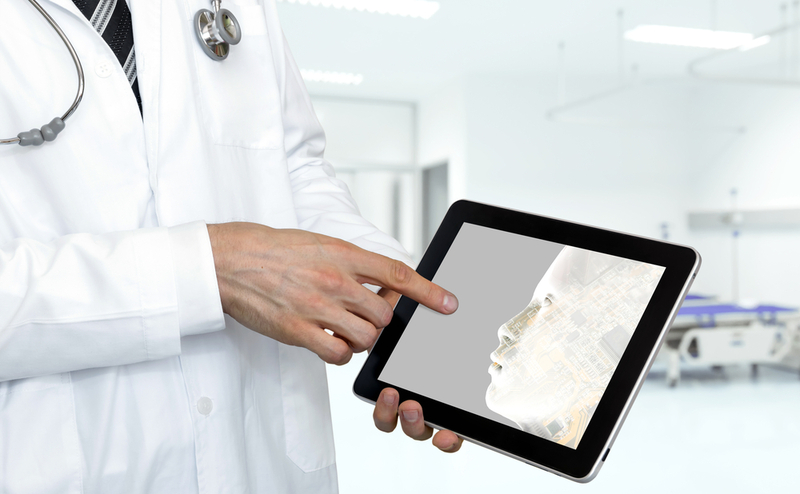 Healthcare providers can start using artificial intelligence today to help their business expand by understanding and improve the patient experience. The inevitable byproduct? You’ll generate more revenue by better understanding your patients. It’s a win-win! Although implementation requires a time and money investment, our experience suggests that this investment will be recovered quickly and will increase revenue by retaining patients and generating new ones. Ajay Prasad is a serial entrepreneur, digital marketing strategist and founder of GMR Web Team, a digital marketing agency and RepuGen, a healthcare reputation management software. His areas of expertise include marketing management, business development, consumer research, market analysis and strategic planning.